We sincerely apologise for the inconvenience caused as we understand some may have issues submitting an abstract using the conference website. We have opened an alternative submission portal via APHN for you. Your patience and understanding in this matter has been greatly appreciated and we look forward to seeing you in Surabaya in August 2019! Seats will be given to the first 60 participants who register on a first-come-first-serve basis. Registration will only be confirmed upon receipt of payment. The registration will end when all seats are filled. Seats will be given to the first 100 participants who register on a first-come-first-serve basis. The registration will end when all seats are filled. The event details are attached for your reference. Nurses, social workers, paediatricians, all training registrars and caregivers. The EPEC-Pediatrics curriculum is held over 2-days and features state-of-the-art knowledge in pain and symptom management and training in the skills required to address key domains for paediatric palliative care. The program is designed to give paediatric healthcare professionals (incl. physicians, nurse practitioners, nurses, social workers, psychologists) the knowledge and skills needed to provide excellent palliative care to their patients and their families. Participants will also be equipped to become EPEC-Pediatric Trainers who can educate interdisciplinary teams providing care to children with serious illness. Numbers are strictly limited. Don’t be disappointed the last time this was held Down Under (Auckland, New Zealand 2016) the course was very quickly over-subscribed. Registration details will be provided on acceptance. Rachel House is proud to announce a major Children’s Palliative Care Symposium to be held in central Jakarta on October 10, in partnership with Cipto Mangunkusumo National Referral Hospital, Ikatan Dokter Indonesia (IDI), Ikatan Dokter Anak Indonesia (IDAI) and Persatuan Perawat Nasional Indonesia (PPNI). This symposium will bring some of the world’s leading Indonesian and international experts in pediatric palliative care together to discuss how we take the next steps on building a true palliative care ecosystem in Indonesia. This symposium is for doctors, nurses, health department and government officials and anyone that provide care for children’s living with serious illnesses. If you would like any more information or to register, please contact Anjani on anjani@rachel-house.org or +6282114779505. There are close to 700,000 seriously-ill children in Indonesia. However, right now less than one percent of these children have access to pain relief or palliative care. At Rachel House, we have pioneered palliative care in Indonesia for these seriously-ill children from marginalised communities since 2006. We are driven by the vision that no child should ever have to live or die in pain, and that everyone is entitled to palliative care regardless of income, illness or education. We provide home-based palliative care services across Greater Jakarta to seriously-ill children with Cancer and HIV AIDS, free of charge. This allows the children to live pain-free and in the comfort of their own home, surrounded by family and friends. In addition, we educate and equip medical professionals and empower local communities (overwhelmingly women) with palliative care skills, as well as knowledge to provide care for those in need. Our Clinic-In-A-Box program is Indonesia’s premier palliative care education program for nurses and allied health professionals, with world-leaders in palliative care designing and delivering the program. We are working to build the palliative care ecosystem across Indonesia to make a sustainable change to the country’s healthcare system – and we welcome any partners International or National to join us on this journey. The estimated number of children in need of palliative care at the end of life is almost 1.2 million globally, of which 24% comes from the Southeast Asian Region. There is significant pain and suffering to be addressed, yet paediatric palliative care is largely still developing in this part of the world. Particularly in Asia, there is a scarcity of training opportunities and limited dedicated resources in this field of work. Recognising this need, the Paediatric Palliative Care Special Interest Group (PPC SIG) of the Asia Pacific Hospice and Palliative Care Network (APHN) partnered with EPEC headquarters in the US to bring its leading training programme at a much subsidised rate to practitioners here. This inaugural train-the-trainers programme in Paediatric Palliative Care was jointly organised by APHN and Hospis Malaysia. It consists of 2 components – an online curriculum, which participants first have to complete beforehand, followed by an in-person training workshop. The latter was held from 18 – 19 May in Kuala Lumpur, Malaysia. The programme was originally intended for only 40 participants but in just 2 weeks after application opened, more than 70 registrations were received! Due to overwhelming response, registrations closed much earlier than anticipated. Such massive latent demand for PPC related education indeed! After much deliberation with programme leads, the PPC SIG released more slots for participation. Eventually, 64 professionals from 11 different countries in the Asia Pacific were enrolled. Over the 2 day workshop, participants soaked in knowledge on how to teach and facilitate classes, discussed clinical challenges with faculty, and exchanged experience with each other. They practically shared stories, laughed and ate together like long lost friends. An APHN networking group was also created for the class of 2018. Even after the workshop, participants can continue to participate in discussions with the faculty and fellow classmates. One participant even commented, “Now I know where to ask for help if I face any difficulty when I am working at the hospital, even in the middle of the night.” Indeed, no one will ever feel alone or without any support now, even if they are the only paediatric palliative care practitioner in their service! This workshop would not have happened without the support of supporting partners and advocates. We will like to especially thank our faculty members, Dr Ross Drake (New Zealand), Ms Stacy Remke (New Zealand), Dr Mary Ann Muckaden (India), Ms Jody Chrastek (USA), Ms Karyn Bycroft (USA) and Ms Lee-Anne Pedersen (Australia) for delivering such a wonderful experience in KL. We thank the Hong Kong Hospice and Palliative Care Foundation Limited for their kind donation to APHN and Hilton Kuala Lumpur for providing us special rates for faculty accommodation. If you will like to find out more about the next APHN-EPEC Paediatric workshop, sign up to join our mailing list at https://aphn.us8.list-manage.com/subscribe?u=a5b9404e71f8cf038c7cc5f0f&id=9ce5eaa9b0. If your organisation will like to support us in future runs of this workshop, please write to the APHN Secretariat at aphn@aphn.org or call +65 6235 5166 to find out more! Click http://www.childrenpalliativecarecongress.org/congress-2018/ to go to the conference website. The APHN is proud to be a supporting partner of this conference. Around the world, different models of paediatric palliative care have responded to the unique needs of children with life shortening conditions. However, research confirming their utility and impact is still lacking. This study compared patient-related outcomes and healthcare expenditures between those who received home-based paediatric palliative care and standard care. The quality of life and caregiver burden for patients receiving home-based paediatric palliative care were also tracked over the first year of enrolment to evaluate the service’s longitudinal impact. 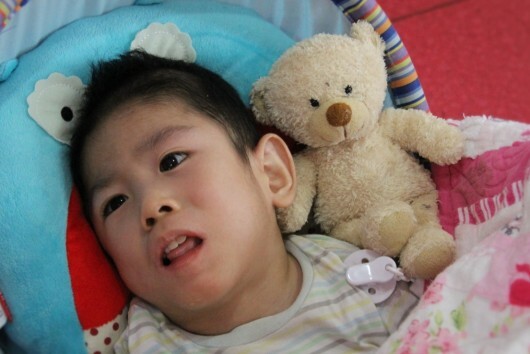 A structured impact and cost evaluation of Singapore-based HCA Hospice Care’s Star PALS (Paediatric Advance Life Support) programme was conducted over a three-year period, employing both retrospective and prospective designs with two patient groups. Compared to the control group (n = 67), patients receiving home-based paediatric palliative care (n = 71) spent more time at home than in hospital in the last year of life by 52 days (OR = 52.30, 95% CI: 25.44–79.17) with at least two fewer hospital admissions (OR = 2.46, 95% CI: 0.43–4.48); and were five times more likely to have an advance care plan formulated (OR = 5.51, 95% CI: 1.55–19.67). Medical costs incurred by this group were also considerably lower (by up to 87%). Moreover, both patients’ quality of life (in terms of pain and emotion), and caregiver burden showed improvement within the first year of enrolment into the programme. Our findings suggest that home-based paediatric palliative care brings improved resource utilization and cost-savings for both patients and healthcare providers. More importantly, the lives of patients and their caregivers have improved, with terminally ill children and their caregivers being able to spend more quality time at home at the final stretch of the disease. The benefits of a community paediatric palliative care programme have been validated. Study findings can become key drivers when engaging service commissioners or even policy makers in appropriate settings. Read the full open access article here. The 3rd Conference of the International Children’s Palliative Care Network will be held from 30 May to 2 June 2018 in Durban, South Africa. Register online at https://www.duke-nus.edu.sg/lcpc/shc-lcpc-multidisciplinary-forum or email lcpc@duke-nus.edu.sg for more information and enquiries. What happens when palliative care intersects with other specialties? Loving Brandon was hard. Not because of Brandon – he was a beautiful boy. He had beautiful eyes and a gentle heart. He loved massages and his face lit up during sensory therapy. He also had severe brain damage and limited ability to communicate. We could never know for sure how much he did or didn’t understand, but we feel certain he knew his people and he understood love. Loving was not hard because of Brandon. It was hard because it hurt so badly to watch him suffer. On top of his severe cognitive challenges, Brandon had a contagious respiratory infection. That meant there were lots of rules around how and where he could be cared for. The rules came from a good intentions – intentions to help cure and to protect others from infection. But for a child who already has a life limiting condition, those rules were pretty hard to understand. Brandon only had a small circle of people who really knew him. He couldn’t speak up like a typical kid and tell someone when he was hurting, sad or sick. It broke our hearts when he moved to a specialty respiratory diseases facility, even though it made sense medically. We knew that no treatment on earth could offer him a long life, so we wished for his remaining time to be peaceful. We wanted him to have security, comfort and a predicable routine – things we knew were important to him. But treatment for his respiratory condition plunged him into a new routine, a new system, and left him surrounded by strangers. Kind strangers for sure – but they didn’t know Brandon. There are no easy answers in palliative care. Brandon’s story will always break our hearts. We are thankful we were able to visit with him in his isolation unit, but incredibly sad he was not at home when he died. These situations push us to keep talking, keep asking ourselves the hard questions – what happens when palliative care intersects with other specialty areas? Sometimes different branches of health care act in synergy – mental health, physiotherapy and many other specialties are vital components of end-of-life care. But sometimes it’s not so simple. The right thing in one book is not the right thing in another. We are so grateful that these discussions are part of medical practice these days. Our hard conversations belong to a wider debate. Scientists and doctors around the world are studying and talking about these issues. For us, right now, we are feeling sad that Brandon has died without returning home. We wonder if we failed him somehow, if we could have changed things. It’s a pretty normal part of grief to ask these questions, but its also part of understanding and processing this painful sorrow. By seeking to understand, we are seeking to find a way forward, to figure out what our hearts say about some of those hard questions. Sure, there’s a whole lot of research going on – but sometimes what your heart tells you makes a lot of sense. For us, right now, our hearts are feeling incredibly sad. The article above is republished with permission from Butterfly Children’s Hospice. Read other articles at their blog here.